 Enjoy same day service from an expert technician for virtually any type of appliance repair. 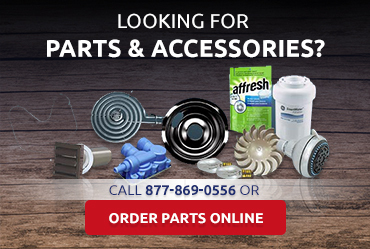 Order factory-certified replacement parts & accessories using our convenient online portal. You don’t have to take our word for it—our customers share the love in their testimonials. Don’t lose your cool!  Just contact us for same day fridge and freezer repair. Gas, electric, or induction…our experienced technicians work on all cooktops. Overflowing trash can? We’ll get your trash compactor working again ASAP. Customer service was excellent and the tech was quick and very knowledgeable. John was such a nice guy and I will use him again. Andrew was incredible. The price was great. Andrew had all the parts in his truck. I will be giving the company number to everyone I know in Pasadena. And my wife and mother even thought Andrew was very cute! Thank you for helping me in an emergency. I was very pleased with Edgar’s service. He was very fast and he made my day. I will definitely use you guys again. Sales tech was a real jewel, very professional, thorough, very polite and courteous. John was extremely polite, professional and we really enjoyed his service. Staff is great! I will pass out company card to all our neighbors. The office is great. They are doing a great job! John is a special guy and very honest. I was very happy with him. He is great! Steven was excellent and I was very happy with his service. The tech was very nice and got me my info quickly. Steven did a great job and relieved all of my stress! So happy with Edgar. He came out and provided a good service. I will use Edgar in the future! Love Tom and is such a good technician, prompt and friendly. Very happy with tech Steven, very professional and informed. Tom was great. Came in an finished the job so quickly. Very friendly and I will use Tom again. John was awesome and fantastic, and Desi was a sweetheart! I loved Andrew and he is a genius. Steven is excellent and polite. I love American Appliance Repair. I loved Steven. I am going to tell everyone in my neighborhood to use Steven for all repairs. Joe was very nice and very helpful and just wanted to let you know. Ken is so sweet every time he comes to my house. Tom is the best! I am very happy with American Appliance Repair. He fixed everything without a problem, another company that came out messed up. Brandon is such a nice kid. I was very impressed with Steven with his attitude and professionalism and great workmanship. Edgar did a great job and I was very pleased with him. Loved the fast service and loved Werner!  I am new to the area and found American Appliance Repair on the Internet and loved them! Their office is so nice and they are quick and professional!!! Very happy with Jeremy. Will use him always!!! Ken did a wonderful job! I loved John and he provided great service. I was amazed how helpful he was in this day and age. 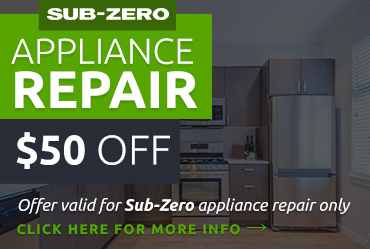 American Appliance Repair is so easy to work with. I have a small business as well and I also know how important it is to take care of the customer. I called Kitchen Aid first and they didn’t know what they were doing. Then I called American Appliance Repair and the guy knew his stuff and got my unit going again. I want to personally thank John Martin for going the distance to get a technician out to my home.  I am very happy with the service I received and I highly recommend American Appliance Repair. I just wanted to let Steven know that my refrigerator is working perfectly now. So, so happy! I want Steven to know that he was great! American Appliance Repair is an awesome company and is highly recommended with in the Reserve Community. I appreciated how fast they were able to obtain and repair my refrigerator. The tech did an awesome job. American Appliance Repair has the nicest employees. They are so helpful over the phone and I am pleased to deal with them. I loved Edgar! He was very personable and knowledgeable. I was very happy with the service. My refrigerator has never been colder. I really appreciated everything that Ken did. They have been great since day one. I will refer American Appliance Repair to everyone! After the estimate, I was very impressed with the tech and will definitely call back when ready. I love American Appliance Repair. I will never use Desert Tech again! I really trusted everything that Tom said, and I really liked the guy. American Appliance repair is the nicest and are always a pleasure to deal with. Also, they are very easy to schedule an appointment with. John was the most professional, courteous, and efficient technician, I have come across in all my years! Andrew works miracles and I’m ALWAYS pleased when he comes to visit me! Tech was very pleasant and I was very comfortable with the tech in my home. He was fast and provided efficient service. I just want to let American Appliance Repair know that my tech was terrific and you guys took good care of me! The tech was excellent and worth the wait! I loved John! He was fast, efficient, and very good. Lindy and Desiree are very nice and John is the absolute best!  American Appliance Repair is very reliable and very accommodating. American Appliance Repair is the best and I refer them to all of my friends! Everyone should know how well they will take care of their customers! I will never use anyone else. Brian was very impressive, helpful, and informative. Steven did a very good job. I was very happy with him. I was very happy with Natalie and Valerie. I am going for the repair. Brian is a great tech! American Appliance Repair is such a courteous company. Everybody is polite and the tech is well trained! The Tech did a wonderful job. I loved the tech! He was very courteous and he sure knows his stuff! 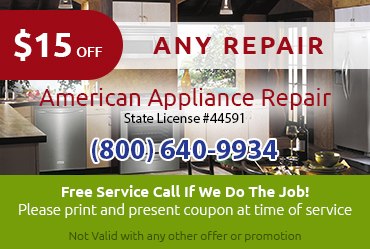 American Appliance Repair is highly regarded in the desert! Ken did a terrific job and I really appreciated all of his time and effort! I have been a customer for about 10-12 years and have always been happy with your service. Thank you again. I am and always have been a happy and satisfied customer. I have high regards for American Appliance Repair. The tech was went over and beyond with help. John is a gem. He is always so helpful. This company has been a great help. The tech was WONDERFUL and GREAT. Everything is done! Tom was perfect. He was so sweet and he did the repair so nicely. My gas company gave me a different diagnosis but Tom fixed it on the spot. I was very pleased with Ken. He made me feel very comfortable. The tech did not give up. He was very persistent in solving the problem. I was very impressed with Brian. He was very professional and pleasant. I was very happy with Andrew and the office staff. Edgar was a great guy and I am really satisfied with the company as a whole. The office staff was great as well! 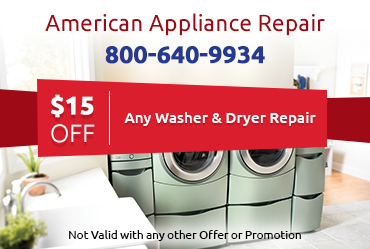 We will refer American Appliance Repair to our friends and family! I would like to thank and publicly commend LINDY for going out of her way on a SATURDAY a.m. to find me a repairman for SubZero way down here in La Quinta! Way to go, Lindy! Hey, John Stevens (her boss) time for a raise? THANKS! Everything is perfect! Steven is a remarkable kid. I will recommend American Appliance Repair to everyone I know!